Simply turn the dial on the Select-A-Bead actuator to select the best bead width for your project. 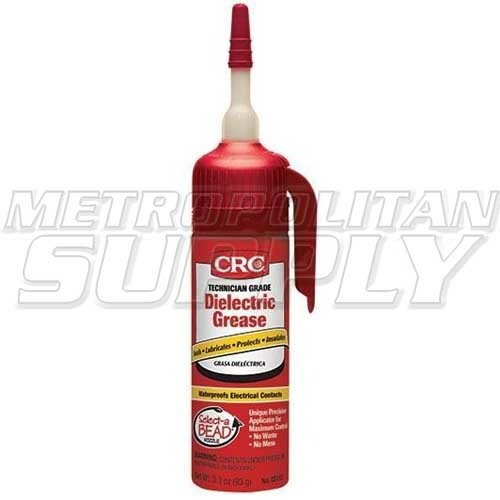 A unique, non-curing compound used for sealing, protecting & electrical insulating. Improves electrical performance by reducing arcing & voltage drop. Also ideal for lubricating plastic & rubber. Improves electrical performance in adverse weather conditions. Patented finger-actuated delivery system for smooth, continuous coverage. Prevents rust & corrosion by repelling moisture, rust, road salt, dirt and oils that can penetrate and harm electrical connections. Left unprotected, these connections may produce arcing, shorts and electrical fires. Electrical connections, circuit breakers, contacts, spark plug boots, trailer connectors, HEI distributor, battery terminals, contacts, lubrication of plastic, rubber parts & o-rings, light bulb sockets, lamps, headlights/taillights, spark plug boots, wire connectors, switches, fuses, circuit breakers, and much more!